Believe it or not, they play chess practically non-stop in Khanty-Mansiysk! 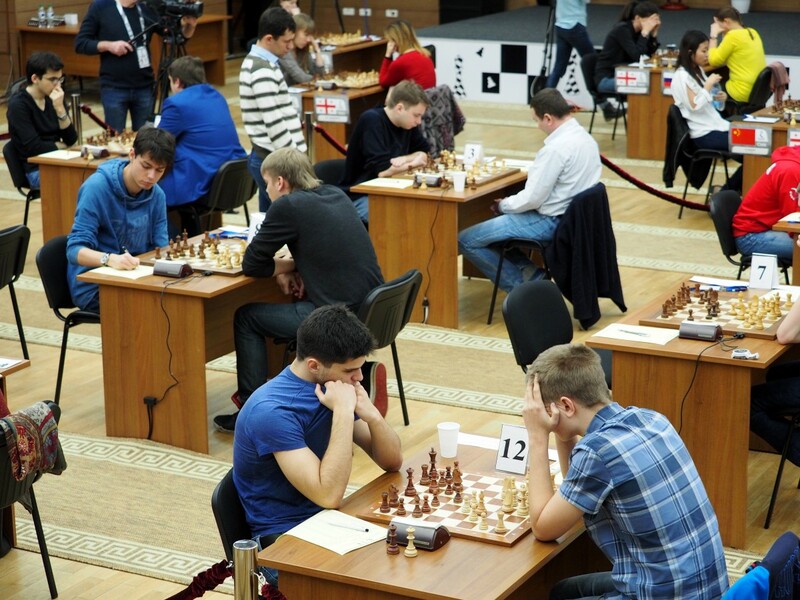 Two days before the start of the Women’s Grand Prix, a strong open tournament took off in the Ugra Chess Academy – the Governor Cup, a last chance to qualify for the Russian Men’s Cup Finals. After this event finishes, there will be a leg of the Russian Rapid Grand Prix, followed by the final tournaments of Russian Rapid and Blitz Cup among men and women. There are no blank spots in Ugra chess calendar! The lineup of the Governor Cup is impressive indeed. Three players recently participated in the Russian Superfinal – Vladimir Fedoseev, Alexey Goganov, and Dmitry Bocharov. There are also two former Russian champions – Evgeny Alekseev (2006) and Sergey Volkov (2000), and a former champion among women – the 18-year-old Aleksandra Goryachkina, who lost her title to Alexandra Kosteniuk about two months ago. In the Chess Academy playing hall, only a rope separates the new champion and the wondergirl from Salekhard. Only 26 players take part in the Governor Cup, and 18 of them are grandmasters. In any other place such tournament would be a prime attraction, but in Khanty-Mansiysk the men are playing second fiddle to the women. “I just came to play in a strong tournament”, modestly says Denis Khismatillin, who leads the field after five rounds. He is a very experienced grandmaster, who played in Russian Superfinals and worked as a second for Alexander Grischuk. And he is barely 10th in the starting list here! 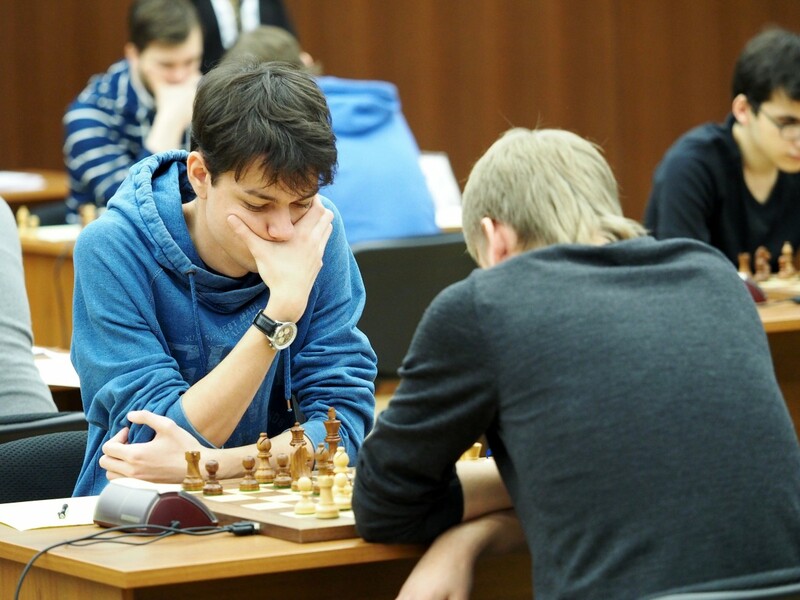 The top seed Fedoseev started the event by losing to Alexei Pridorozhni as White, and lost again in the 4th round, to Pavel Ponkratov. Naturally, he found himself on the bottom of the group. The percentage of decisive games in the Governor Cup is quite high. It seems the players caught a virus of competitiveness from the women playing in the same hall, and fight to a bitter end. A draw by Khismatullin allowed Boris Savchenko and Ivan Rozum to catch up. 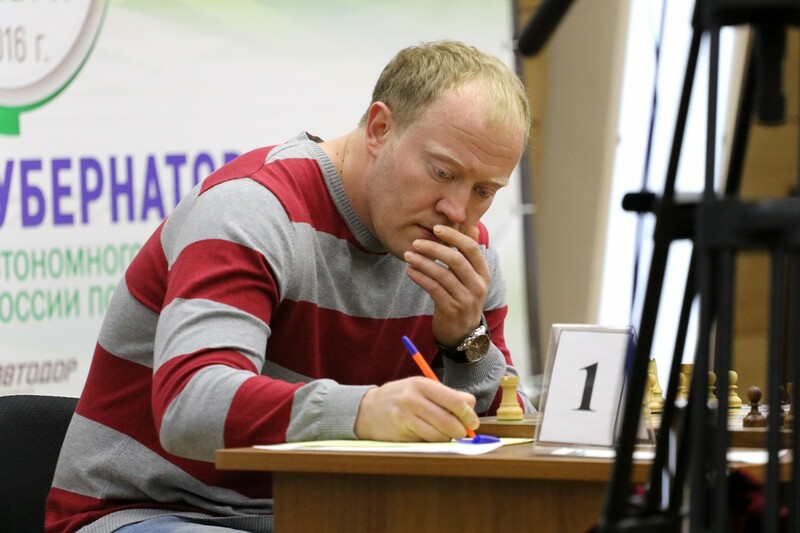 The former, a famous blitz specialist from Moscow, plays his first Russian Cup leg of the year, but the latter has already played four – in Kazan, Voronezh, Samara, and Vladivostok. Winning in Khanty-Mansiysk guarantees him first place in combined standings, which is now occupied by Dmitry Gordievsky. Other contenders are Dmitry Kokarev, who is currently third, Dmitry Bocharov (7th), and Sergey Volkov (9th). However, all these advanced calculations are unlikely to have any effect on the tournament strategy – everybody is just trying to do best here and now. And all three results are possible in every game. That’s why I was so surprised to find three players, who drew all their games in five rounds. Amazingly, one of them is Aleksandra Goryachkina, usually a highly uncompromising player. Sasha does not expect qualifying for the Finals (unless RCF gives her a wild card; the second wild card will likely go to Dmitry Jakovenko, whose portrait decorates the Alley of Honor of the best sportsmen of the region) and just gains experience against very strong opponents – she was an underdog in all five games she drew. Her next opponent is Evgeny Alekseev, a nearly elite player just a few years ago. However, looking at her I couldn’t help thinking she would rather be on the other side of the ropes. There is no doubt she will qualify for the next season of the Grand Prix. 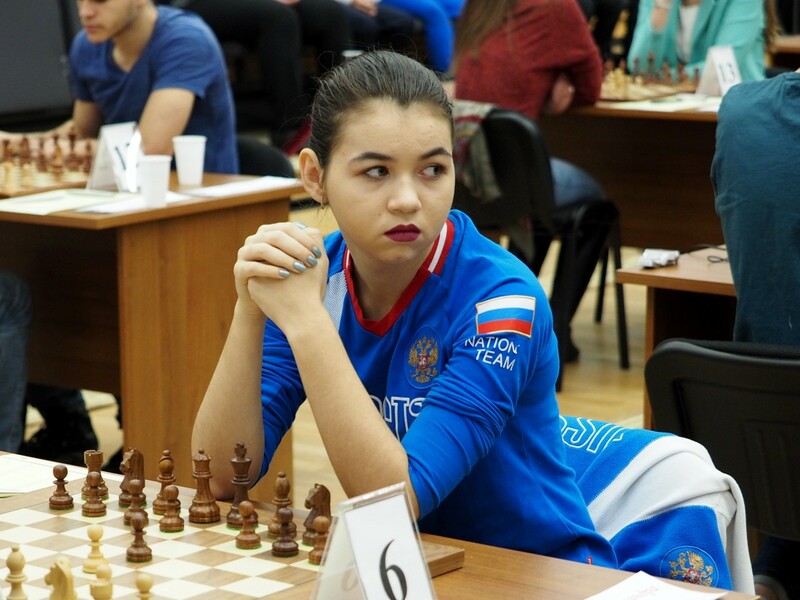 Apart from Goryachkina, there are two more girls fighting in the men’s land – Irina Drogovoz from Ugra and Daria Pustovoitova from Moscow, who also recently played in the Russian Superfinal. The local player has 1.5 points – she defeated Nikita Matinyan and made a draw with Roman Ovechkin. Pustovoitova is less successful so far, but there are four more games to play, and Daria will definitely try to upset some of her opponents. So, who will take the first prize in the Governor Cup? Hey, it is easier to predict who wins the World Championship – only two answers are possible, while here even Fedoseev’s chances cannot be completely ruled out despite a 1.5 point gap between him and the three leaders. Four days of fierce battles are laying ahead. May the strongest win!